We write past and future histories. Gwen and J.B. Whiting live together in the City of Destiny where their house slowly being taken over by a herd of cats and children. Aspiring to a life full of moss and old books, they scribble about magicians and spaceships in between the rush and clamor of their respective day jobs. (James runs a print shop, Gwen makes exhibits for a history museum.) It is their hope that this path will someday lead them to the successful creation of an underground lair and/or cabin in the shadow of their local active volcano. "In a world where animals can talk and curses are real, a cursebreaker and her companion cat search for a cure to a girl's madness to prevent a necromancer's vengeance from destroying their world. Uniting with the animal world as well as those they once thought enemy, Olga and Raisa fight the Dead across the kingdom they may never call home again." 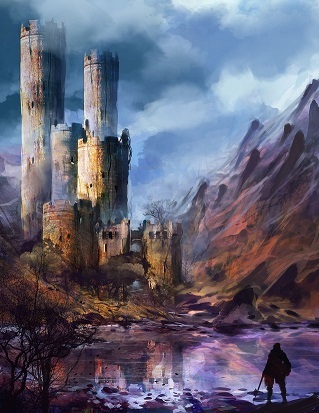 We are currently seeking representation for this fantasy novel, Fortress of Bones.